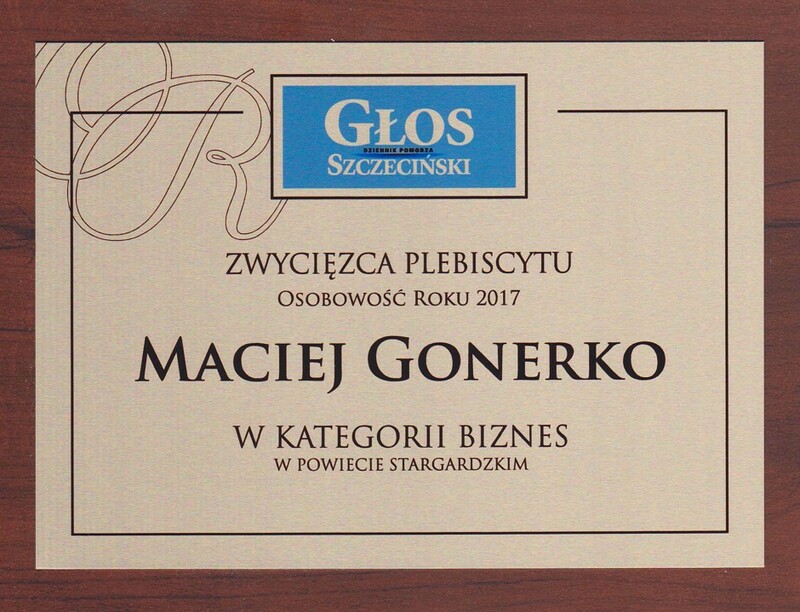 Editorial office of the Westpomeranian newspaper Głos Szczeciński organised 2nd edition of the Personality of the Year plebiscite. We are pleased to announce that Maciej Gonerko – CEO of Enterprise Logistics Sp. z o.o. S.K.A. has been granted the award of the Personality of the Year 2017 in the region of Stargard in the category od Business. The prize has been received by Mrs. Karolina Gonerko-Wites – member of the board Enterprise Logistics on the ceremony that took place on the 15th of March 2018 r.